Kent pub the George Restaurant and Bar are celebrating this month after head chef Charlotte Marshall took home the coveted Booker Pub Chef of the Year title at this year’s John Smith’s Great British Pub Awards. 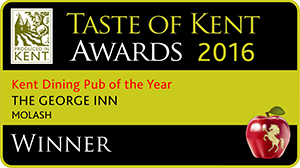 The glittering ceremony held at the Hilton on Park Lane earlier this month recognised the greatest pubs in the UK, awarding them for being the best in categories such as food, spirits, beer and wine. 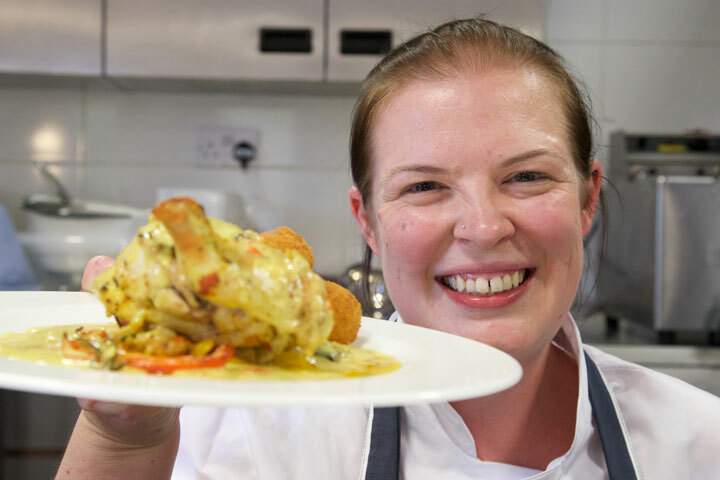 To win her award, Charlotte went head-to-head in a cook off with four other chefs shortlisted in the GBPA Food Pub of the Year category. Charlotte’s technique won the three judges over, who cited the croquettes as outstanding and the accompanying sauce deemed a good use of seasonal vegetables. The judges were Stosie Madi, the Parkers Arms, Lancashire, John Calton, the Staith House, North Shields, and Morning Advertiser ​food and drink editor Nicholas Robinson. Judge Nicholas said: “Charlotte’s quick thinking and skill helped her produce a tasty dish that showcased great skill and use of seasonal ingredients. Stosie said: “Judging the cook off was extremely insightful and showed a rigorous judging process for the GBPA awards. The John Smith’s Great British Pub Awards are organised by pub trade bible The Morning Advertiser. The Pub Chef of the Year Awards was sponsored by Booker/Makro, which hosted the finalists in the cook off. We also offer a special menu at lunchtime. WE ARE FILLING UP FAST SO BOOKING IS ADVISABLE!